The Wand is a different product than Amazon's Dash buttons, but it also helps you restock your kitchen or pantry. It includes the Alexa voice assistant, though it can't play music. Because it's mobile, it's potentially more convenient than a Dash button. Has a few tricks up its sleeve. Chances are you've seen or heard of Amazon's Dash buttons. These small hardware items work as shortcuts for ordering your favorite, go-to essentials from the online retailer, with the advantage of at-your-fingertips convenience. For example, if you frequently need to reorder laundry detergent through the site, having a Dash button for your preferred item can cut down on the time it takes to replenish your supplies. Well, considering that Amazon's always forging a path forward in technology — where it's the Alexa voice-controlled Echo and Dot speakers or its selection of consumer tech devices like the Kindle — it shouldn't surprise you that the company offers another item in the Dash lineup, a tool that aims to provide a shortcut for keeping your kitchen and pantry well stocked. Keep on reading to get the lowdown on the Amazon Dash Wand. Available for around $20 on Amazon (as of publish time), the Dash Wand is essentially a tool for shopping on Amazon.com. It's equipped with Wi-Fi and a barcode-scanner. To use it, you simply point it at an item's barcode, and if the wand recognizes the item, it will make a noise, flash off the light, and add the item to your Amazon cart. It boasts integration with Amazon's Alexa voice assistant, letting you complete tasks such as reordering previous purchases by voice command in addition to pulling up recipes from Allrecipes. And if you scan a barcode and the Dash Wand doesn't recognize an item, Alexa will tell you it couldn't find that particular product. To back up for a moment, Alexa is Amazon's answer to Apple's Siri and Microsoft's Cortana, a voice-based assistant that responds to your requests and questions on everything from the current weather to pulling up a song on Spotify. Beyond enabling plenty of practical tasks, the speech-driven service has plenty of playful applications. Clearly, driving more business is the focal point (at least from Amazon's perspective, we can assume) with this product. However, the company does build in some additional features that are useful for you, the consumer. These include the ability to use Alexa to convert cups to ounces, for instance, and the voice assistant can also help you look up recipes. Other things to know about this little gadget? Well, you'll need an iPhone or an Android smartphone to register it, and it's magnetic so it can stick to your fridge. The device requires two AAA batteries to operate, and it sports one large button that you'll press to accomplish pretty much any task it's capable of, whether you're initiating a task with a voice command or not. The other main feature is the barcode scanner, which you can use to scan items in your home that you wish to reorder through Amazon. Also note that Amazon bills the Amazon Dash Wand as "essentially free," since even though it costs $20 to purchase it, you'll get a $20 credit in your shopping cart following your purchase. One of the top selling points is a streamlined purchasing process. Not to say that having to log in to your Amazon account and reorder the products you need is a particularly unwieldy experience, but these physical devices make it possible to avoid the step of searching through past orders to track down what you previously bought and adding it to your cart again. Plus, while the Dash Wand does include Alexa voice controls, if that's the feature you're most interested in, you'd probably opt for the Echo or Dot speaker over this gadget anyway, since the scanner wand has a pared-down list of Alexa functionality (more on that below), so the purchasing angle is the one that makes this device stand out from other Alexa-equipped products. One potential criticism of these types of devices is that they make it too easy to accidentally order something you didn't intend to — which is why you should be happy to learn that using the Alexa voice-control assistant or the scanner to add items to your cart doesn't actually cause the order to go through and have your account charged. Instead, anything you ask to be added will be in your cart, waiting for you to manually complete the purchase. So you can bypass a few steps in the process without having to worry too much that you might misspeak and accidentally order five dozen bananas through Amazon Fresh (or something significantly more expensive). Remember to check the price, and consider a quick comparison shop— As with the Dash buttons, one potential issue with the Amazon Dash Wand is that you aren't always directed to the item on the site that's available at the lowest price. Now, this isn't to say telling Alexa to add strawberries to your cart will automatically trigger the most expensive, organic variety; in fact, it could just lead to a higher price for the same exact item that you could buy for less if you added it to your cart manually. So, especially if you're price-conscious and just starting out with the Wand, it could be worth taking an extra minute or two to do a quick search on Amazon to ensure you can't get the same item for cheaper. If you routinely see items offered for cheaper than what your Dash Wand is adding to your cart, you may want to only use the device for its other Alexa-powered features such as looking up recipes. Even in this case, you'll be getting a $20 credit so you won't be out any money provided you make purchases on Amazon. Don't expect full Alexa capabilities — While the Dash Wand does offer Alexa integration, letting you use voice commands to add items to your cart and look up recipes, among other things, don't expect to be able to do all the same things you can accomplish on the Dot and Echo speakers. For instance, it can't play music (not that you'd get the best sound quality from the tiny device anyway). Unfortunately, you can't use the device to set timers or alarms, either — which is really too bad, considering there are other kitchen-friendly tools built in. Also, unlike on the Amazon Dot and Echo, there's no wake word — due to the fact that the wand is battery-powered rather than plugged in. Integrate it with your smart home — On the plus side, the Alexa-powered Dash Wand can control any smart home devices that are compatible with Alexa, meaning you can use it to accomplish things such as turning on and off lights, adjusting the temperature and locking doors. 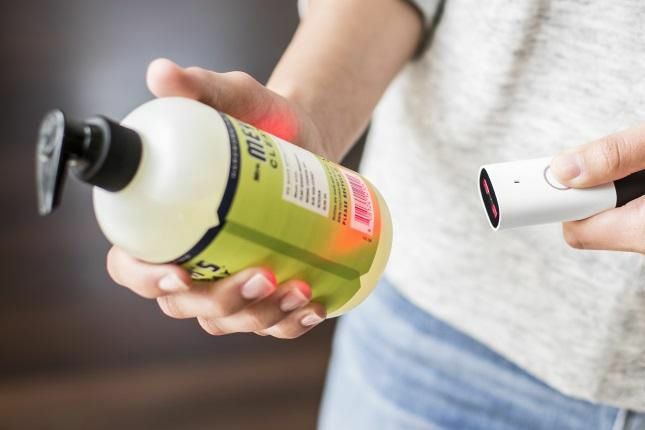 You're not limited to items you've ordered before — Though Amazon bills the Dash Wand as a useful tool for reordering your most-used items, that's not to say you can't use the gadget's scanning feature to stock up on other things. The scanner will work with any product that has a barcode, and even if you haven't previously ordered it through the site, if it's available on Amazon, it will be added to your cart. Leverage the Allrecipes integration — As a device made to live on your fridge, the Dash Wand helpfully pulls in recipes from Allrecipes, letting you access step-by-step guides and ingredient lists by using Alexa commands such as "Ask Allrecipes for a snickerdoodle recipe." The Amazon Dash Wand is yet another nifty gadget from the e-tailer that makes ordering from the online store quick and easy, and it goes beyond the relatively basic Dash buttons thanks to integrations with Alexa and other services. For those who are already fans of Alexa, the voice-control features are a nice touch as well, and the ability to look up recipes makes this a useful tool in the kitchen. Hopefully this article has helped clarify just what exactly this device does, and shown you how to get the most out of its features once it has a place in your kitchen or pantry.